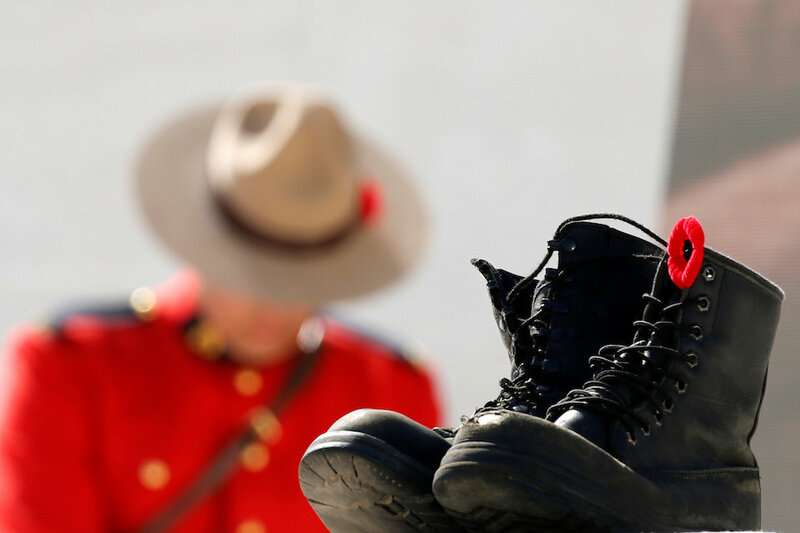 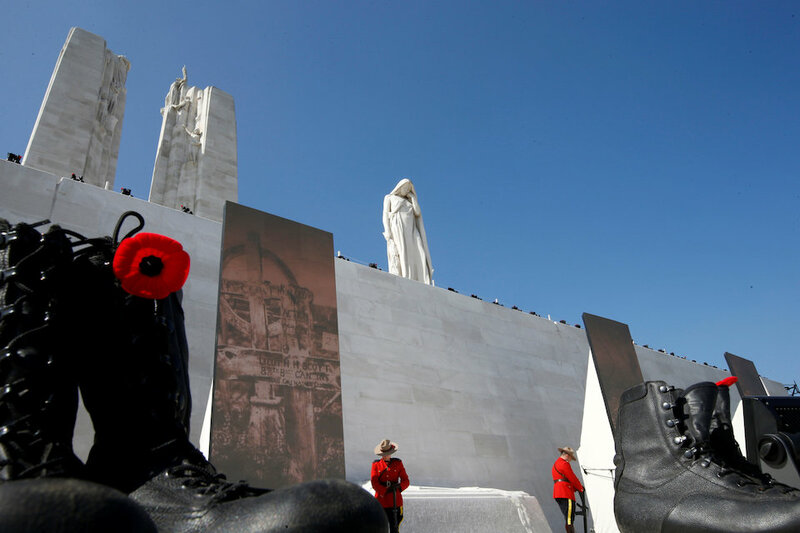 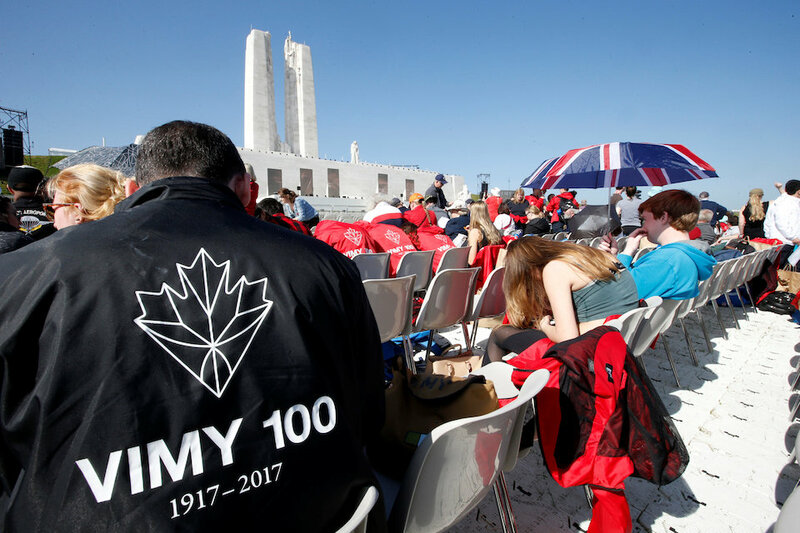 ARRAS, France (Reuters) – French President Francois Hollande and Canadian Prime Minister Justin Trudeau led commemorations on Sunday marking the centenary of the Battle of Vimy Ridge in northern France in which over 3,500 Canadian soldiers were among the dead. 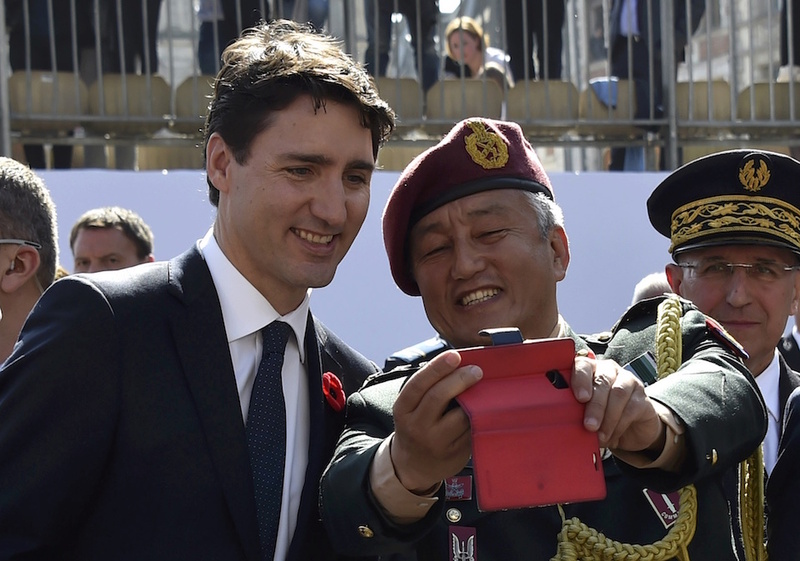 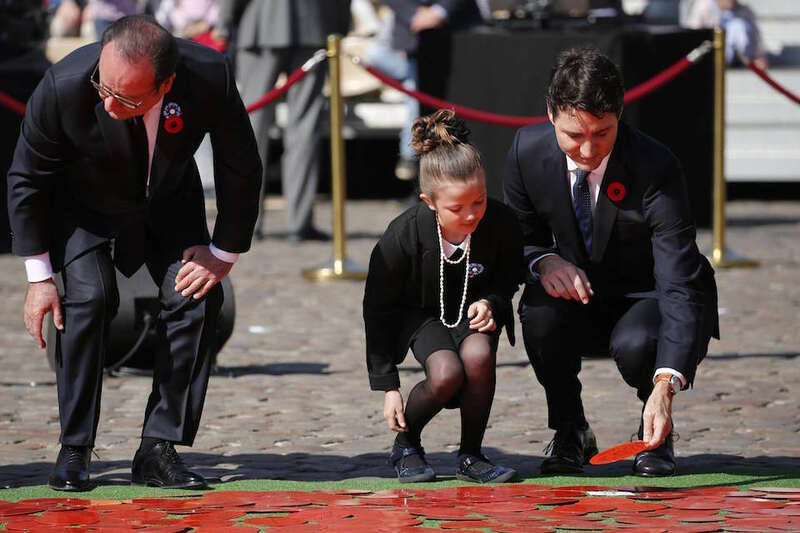 A giant poppy made up of messages of love and gratitude was unveiled at Heroes Square in the town of Arras where Hollande and Trudeau wrote their own notes and placed them among others. 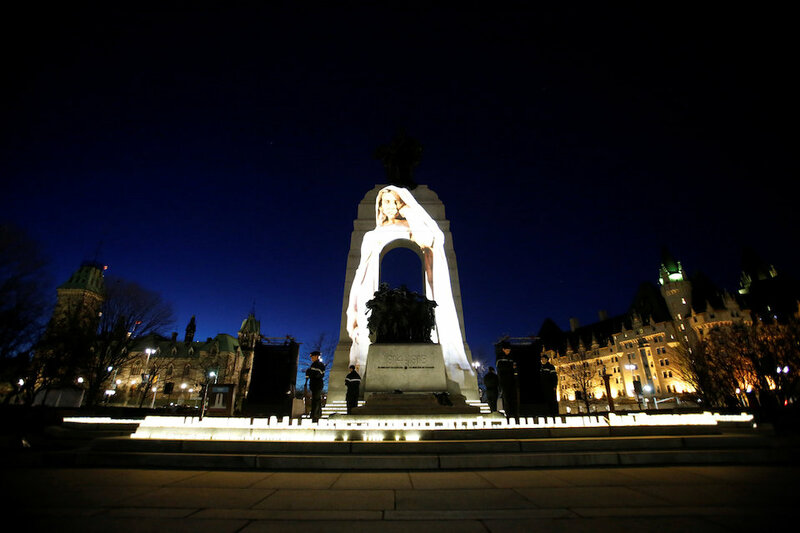 The Canadian armed forces, representing the four battalions that fought in the 1917 battle, conducted a military parade at sunset on Saturday, the eve of the centenary. 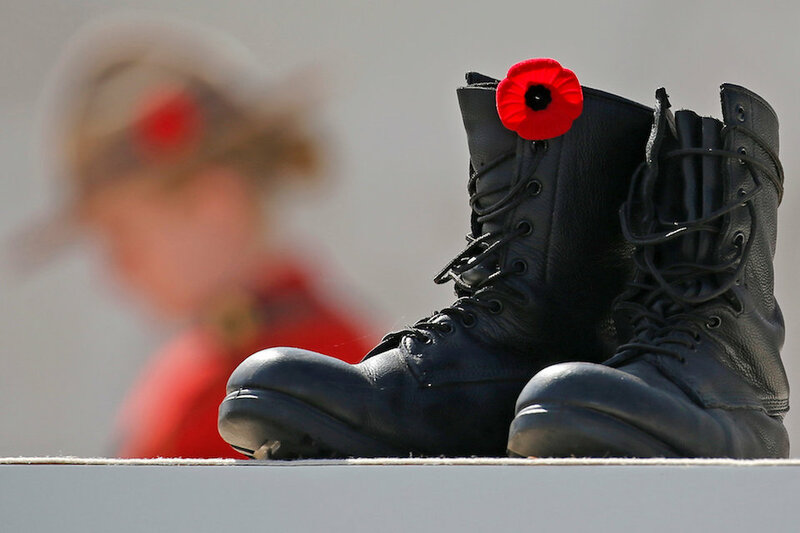 During the First World War battle on Easter Monday in 1917, over 3,500 Canadian soldiers, many of them below 20 years old, died while capturing the ridge in a fierce battle with German forces. 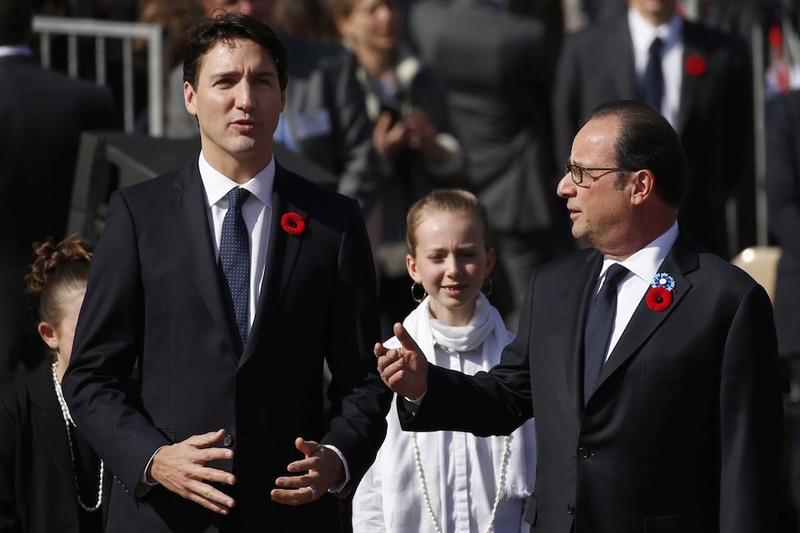 Hollande, Trudeau and British princes Charles, William and Harry were to take part in a ceremony later on Sunday expected to draw some 25,000 people. 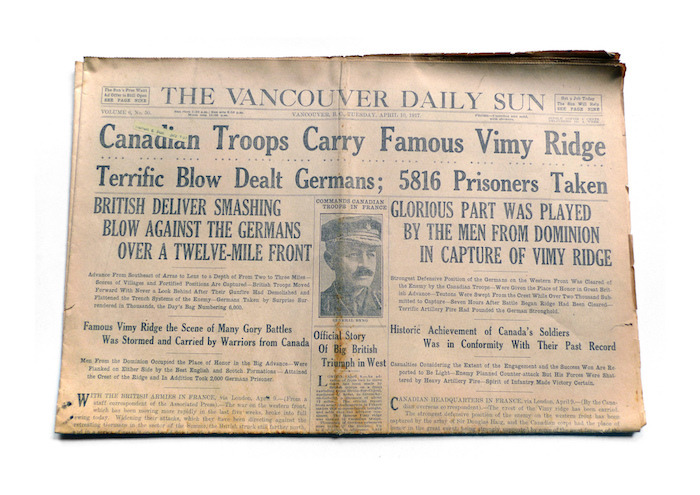 The battle of Vimy Ridge began 100 years ago, on Sunday, April 9, 1917. 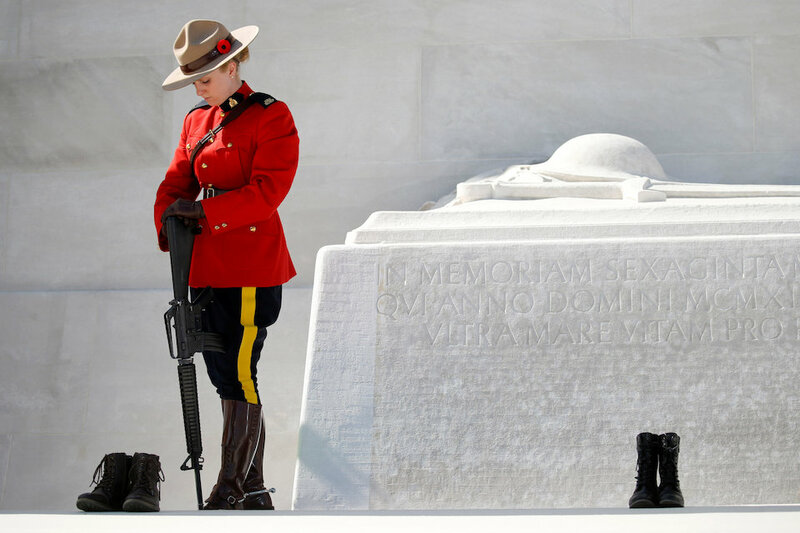 It’s often called the making of Canada. 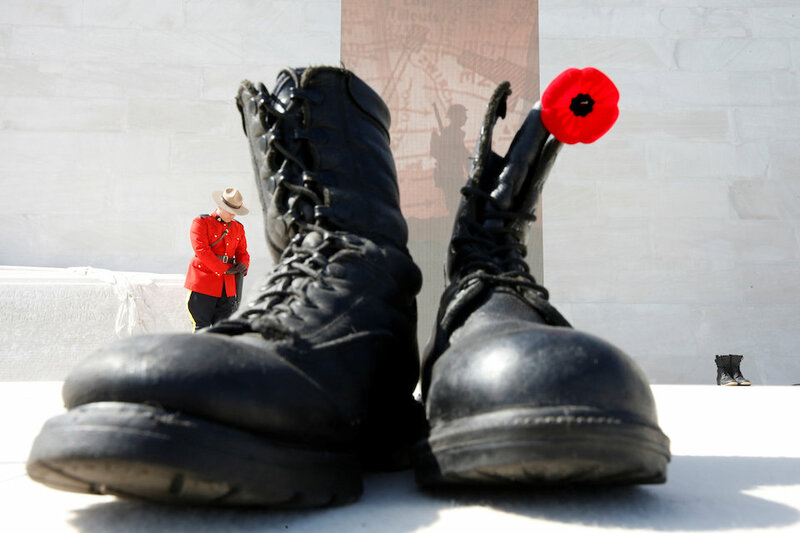 And it’s fading from history.